ROCKAWAY, N.J. -- When Bob Cornelius of Rockaway, N.J. attended his son's back-to-school night, he said it was "pretty typical." He snapped a few photos of his 11-year-old son Christopher's classwork, heard about the classroom day-to-day and went home. And then he looked a photo he has snapped and saw it. It was a simple enough question. But the answer was "like a punch in the gut" Cornelius told ABC News. "No One." 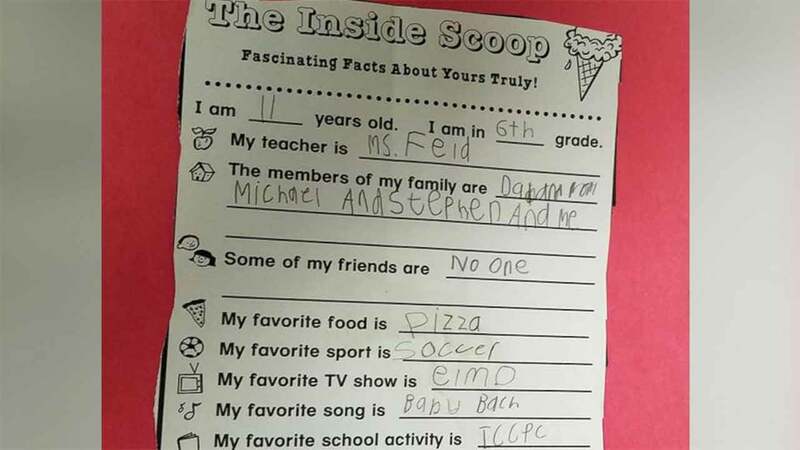 That was his son's answer to the question, "Some of my friends are ..."
In a Facebook post that's now been shared more than 12,000 times, Cornelius detailed his thoughts on not only his son, but how children everywhere who don't fit the mold are being excluded. "Never have five letters cut so deep, and they weren't even directed at me....it was just an overly simplistic statement that spoke volumes," he wrote. "And because I know him so well, and because I have pretty good handle on him after raising him for eleven years, I know this disconnect makes him feel lonely, and it makes him sad." Cornelius told ABC News he hoped his post "starts a conversation." He hopes parents will speak with their kids about inclusion and that educators will foster peer relationships between students in the classroom. Already, Cornelius said, four high schools in Kansas City are using the Facebook post in lessons where the students will write letters to Christopher. The now-hopeful dad said he expects the cards to start rolling in on Friday, and he can't wait to see Christopher's reaction. "Coincidentally, Chris asked me about mail last week, and about never getting any mail." 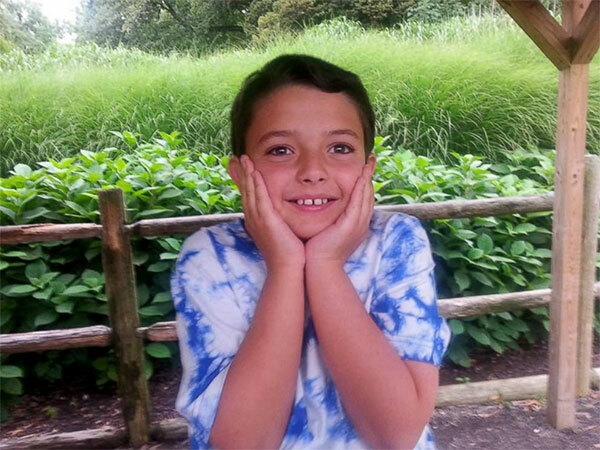 Eleven-year-old Christopher is seen in a photo shared by his father, Bob Cornelius, of Rockaway, New Jersey. Referencing a recent news story where a Florida State football player joined the table of a child with autism who was sitting alone, Cornelius wondered why that one act of kindness made national headlines. "It tells me exclusion is still the norm," he said. "Being kind should not be a national news story." Cornelius went so far as posting his address for anyone who wants to send a card to Christopher.